Oakley has launched its latest campaign addition to its ‘One Obsession’ brand platform, telling athletes ‘It’s OK’ to make personal sacrifices in the pursuit of athletic excellence. Their new campaign has already been featured on AdWeek, Men’s Journal, MarketingMag, and Adventure Sports Network. Today Oakley released a two-minute spot featuring athletes Chloe Kim, Bubba Watson, Mark Cavendish, Ståle Sandbech and Mikaela Shiffrin to launch its new ‘It’s OK’ campaign. 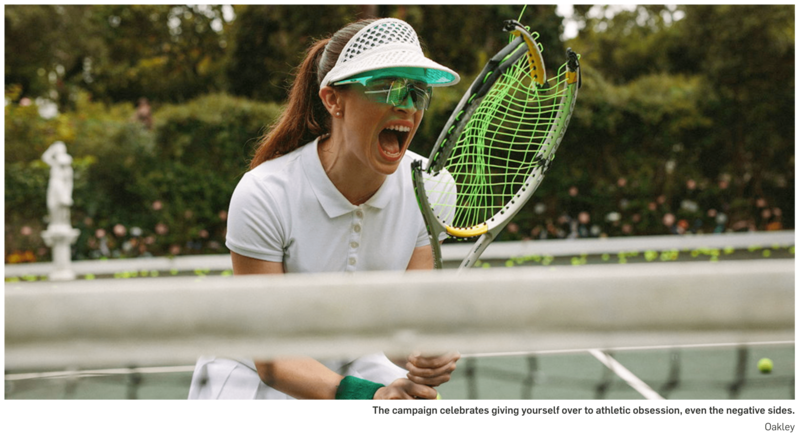 Oakley is encouraging athletes to make “sacrifices in your family-life, career or friendships” in the pursuit of athletic excellence, the spot saying, “It’s OK, in the name of obsession”. The new TVC shows Oakley’s sporting-obsessed brand ambassadors as they face challenges and sacrifice their personal lives to train and follow their athletic ambitions – waking up early, missing meals, training through injury, dealing with failure, balancing relationships and being burdened with frustration. To support the new campaign, Oakley commissioned Kelton Global to survey everyday athletes on their commitment and obsession with their sport. The results found that 40% of employed athletes would rather excel at their sport than at at work and 23% of respondents saying their sport is more important than career accolades and recognition. Thirty-four percent of the survey’s participants say they have given up romantic relationships – and nearly half (47%) have sacrificed friendships, because they were impeding on their dedication to sport. The vast majority (91%) of athletes say they continue to train for their sport while on holiday and nearly all (91%) say they think about their sport at least once a day. Oakley says its new campaign is built on these findings. The brand is motivating more sport enthusiasts to pursue their athletic goals despite obstacles in their personal and professional lives. The ‘It’s OK’ campaign went live today, being distributed through Oakley’s owned digital media assets. The ‘One Obsession’ survey was conducted between 23 March and 8 April 2018 with responses from 508 athletes over the age of 18.